It's hard not to appreciate the rich country voice of new Red Dirt star Nick Verzosa on his debut album "She Only Loves Me" following his successful five-song effort "The Smoking Gun EP" (read review by clicking here). The aforementioned EP yielded two hit singles "Look Back To Texas" and "Back When Love Was Easy." Indeed, the themes of "love" and "Texas" are constantly at the forefront of this young artist's terrific new project. The album begins with the current single and title track "She Only Loves Me," which was produced by Texas country legend Walt Wilkins. Neither Verzosa or Wilkins disappoint with this easy-going honky tonk song that mixes elements of classic rock n' roll with Red Dirt sensibilities. Texas country fans should drink this track up faster than Bud Light at a Kevin Fowler concert. The next cut, "So Mean," is Nick Verzosa's melodic, slow-burning ode to the mean girl in his life. The bluesy soul is perfectly conveyed, and this cut could also find success on radio. However, the album's big surprise is the quiet and vulnerable cut "Lazy River Days." Nick Verzosa finds a cool Uncle Kracker meets Wade Bowen swagger on this song that is very appealing. Four of the 11 songs on the album were previously on Nick Verzosa's EP, including the previously mentioned singles "Look Back To Texas" and "Back When Love Was Easy" along with the Red Dirt cut "Something Lucky" and "Let It Go." The new song "Stronger Than That" is a dark love song that sizzles with passionate intensity, but it is "I Wouldn't Answer" that emerges as the album's best cut. This story in song deserves to be a radio hit, and Nick Verzosa's vocal performance is pitch perfect combined with the heartfelt lyrics and masterful instrumentation. "Change Your Mind" increases the album's fun quotient in a major way, and the rockin' cut should prove to be an audience favorite. Likewise, the quirky track "7th Year Senior" should also have Texas country audiences rolling in the aisles with laughter. 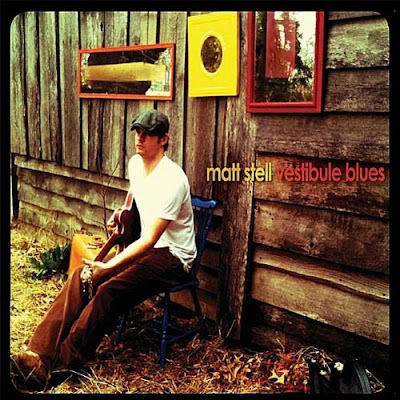 A "vestibule" is defined as the passage before an entrance, and that makes "Vestibule Blues" a fitting sophomore album title for singer-songwriter Matt Stell, who has traveled a long way since his fine debut album "The Sound & The Story." However, Stell is still on the cusp of widespread recognition, and "Vestibule Blues" proudly proclaims that the artist is ready for the big time - on his own terms. The album begins with a story-in-song titled "Robert Tatum" and features Stell's deep, rich country voice. Indeed, "Robert Tatum" proves to be the perfect start to the Morrilton, Arkansas native's album, and Matt Stell's lyrics constantly highlight the viewpoint of hardworking men and women. Following a recent win as Entertainer Of The Year at The Texas Music Awards, singer-songwriter Pauline Reese tops off a great year with the brand new single "First Love." The beautiful songstress delivers an intense and introspective vocal performance with "First Love," which carefully blends Texas country with a cool Taylor Swift-esque sound that works on all levels. The first verse builds to a soaring chorus and shows Pauline Reese could easily find a home on the mainstream country music charts. The lyrics of "First Love" share a love story from a female perspective while still being accessible to male listeners. And this is no easy feat. Justin Pollard's deft production skills also deserve special notice. Reese made history as the first female Entertainer Of The Year, and "First Love" is a perfect song to capitalize on her new-found fame and give her a mainstream Top 10 hit on the country music charts. 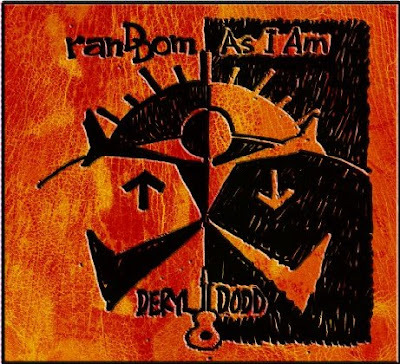 Music doesn't come much better than Deryl Dodd's stirring new album "Random As I Am." Indeed, the well-known country star has produced a project that will probably land on many Top 10 country album charts at the end of the year, and the unique cover art and title should not scare away traditional country fans. That's because Deryl Dodd has produced 13 uncompromising, Texas country tunes that will make both grandsons and grandfathers feel as happy as the Cowboys winning the Super Bowl. 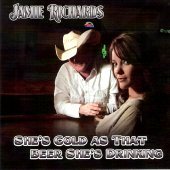 In what might be the best song title of the year, Jamie Richards is back with his painfully honest song about a conniving seductress appropriately titled "She's Cold As That Beer She's Drinking." And it's a barnburner. Back in 2008, we introduced you to Jamie Richards when reviewing his hard-to-find 2007 CD titled "Drive" (read full review by clicking here). Now, Richards is obviously searching his heart for past experiences when he sings: "She's out to prove she's so smart, no one is going to break her heart again" sings Richards. "Don't be fooled," he adds, because "she's cold as that beer she's drinking." Fans of Red Dirt and traditional country stars will warm to Jamie Richards who sings songs about real life. "I think it was probably from personal experiences," Richards said of the song. "I love women probably too much." 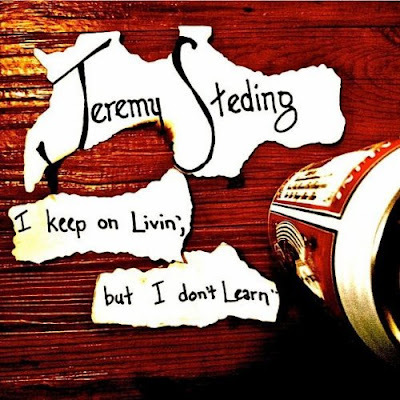 If a full-bodied, country voice excites you more than sweet tea on a hot El Paso summer afternoon, than Jeremy Steding may just be your favorite new Texas country artist. On his new album "I Keep On Livin', But I Don't Learn," Steding continues to prove that he is one talented country boy. Produced by the legendary Walt Wilkins, Steding's new album begins with the upbeat "Annie Ray," which offers elements of Red Dirt mixed with traditional country and hints of bluegrass. As usual, Wilkins' production is stellar, and Jeremy Steding has never sounded more confident. However, it is the insanely memorable title track that will really get listeners' juices going. The track "I Keep On Livin', But I Don't Learn" has a terrific melody that deserves constant radio airplay. 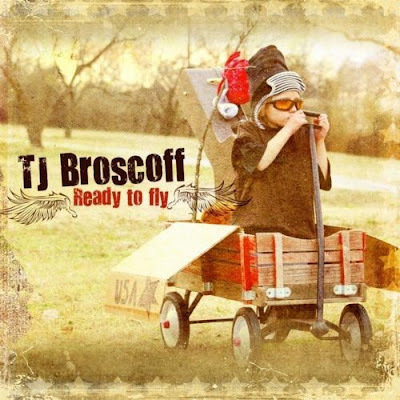 Drugs and alcohol fueled talented musician T.J. Broscoff during his early years culminating in the artist hitting bottom after selling his shoes for a hit of crack. However, Broscoff had a musical gift, and he had previously scored critical success fronting a rock band called "The Unknown." Thankfully, Broscoff managed to do what many others cannot by freeing himself from his addictions and offering some apologies to family and friends. This culminated in a solo Texas country career that produced his moderately successful first album "Detour Phoenix" and his newest album "Ready To Fly," which features the hit single "Pillow." Broscoff acknowledges his past missteps in the Texas country cut "Trixie," which was named for Broscoff's partner. Likewise, listeners cannot help but notice the artist's hard-edge, country voice. The Austin, Texas music scene was the homebase of singer-songwriter Tom Cheatham for the last five years or so until his recent move to Dallas. 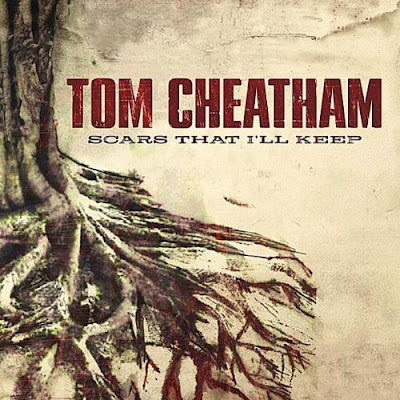 The change of scenery obviously caused a creative explosion within Cheatham that is fully evident on his sophomore album "Scars That I'll Keep," which continues the artist's unique fusion of traditional country and Red Dirt music. The album begins with the melodic "Empty Heart," which is pure radio ear candy. Cheatham has built on the success of his debut album "Restless Heart," and his vocals have never sounded better. A harder-edged Cheatham emerges on "Forgiveness," but it is the bluesy title track "Scars That I'll Keep" which is the album's biggest surprise. This track could potentially chart in several radio genres, and it deserves the support of program managers. Likewise, the album's production headed by Erik Herbst (Eli Young Band, Josh Abbott) is stellar. 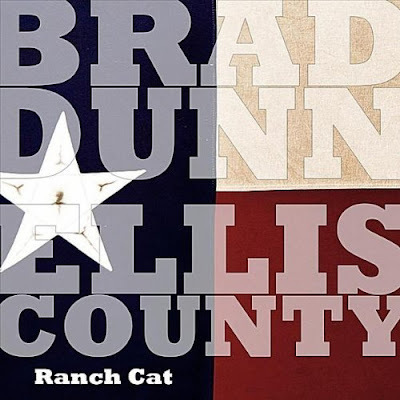 The most successful country music vocalists seem to have an easy-going manner and a confident vocal delivery, and newcomer Brad Dunn & Ellis County definitely fit the bill on their new Texas country album "Ranch Cat." The 53-minute, 14-song album begins with the upbeat "3 Days in Mexico" that could easily find a home on both Texas and mainstream country radio. "Piece Of Me" has much of the same charm and offers a superb melody. "Gone" is a more heartfelt love song that should please female fans. The fourth track and current single "Red, White And Blue" is a hard-edged Texas country cut which radio stations should slurp up faster than peach tea at a church picnic. However, the comfortable traditional country style of "This Time" is even more pleasing as Dunn delivers a subtle but effective vocal performance.